Traditionally made for Mothering Sunday with its origins dating in the middle ages. 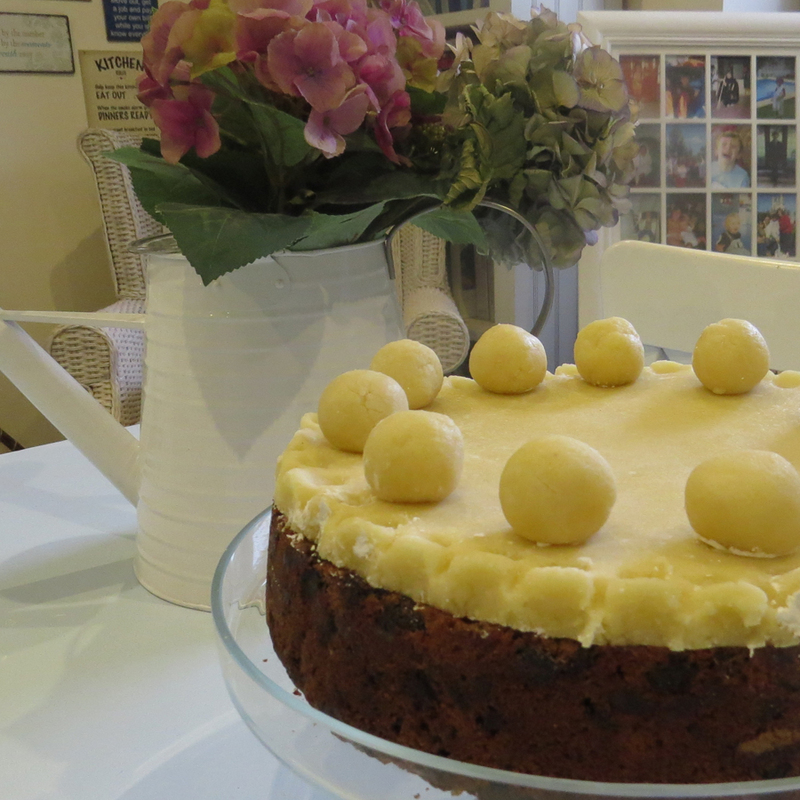 During the 18th Century girls would bake a Simnel cake as a gift for their mothers to be eaten several weeks later on Easter Sunday. 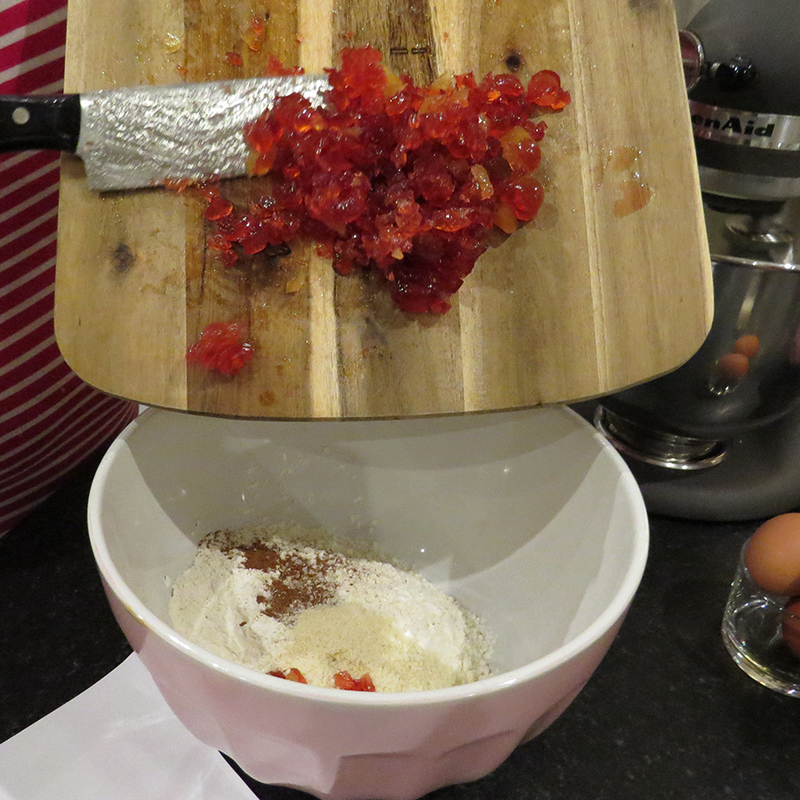 It was seen as a test for the girls to prove their cooking abilities to the family! Remove all ingredients from the fridge and leave to reach room temperature. 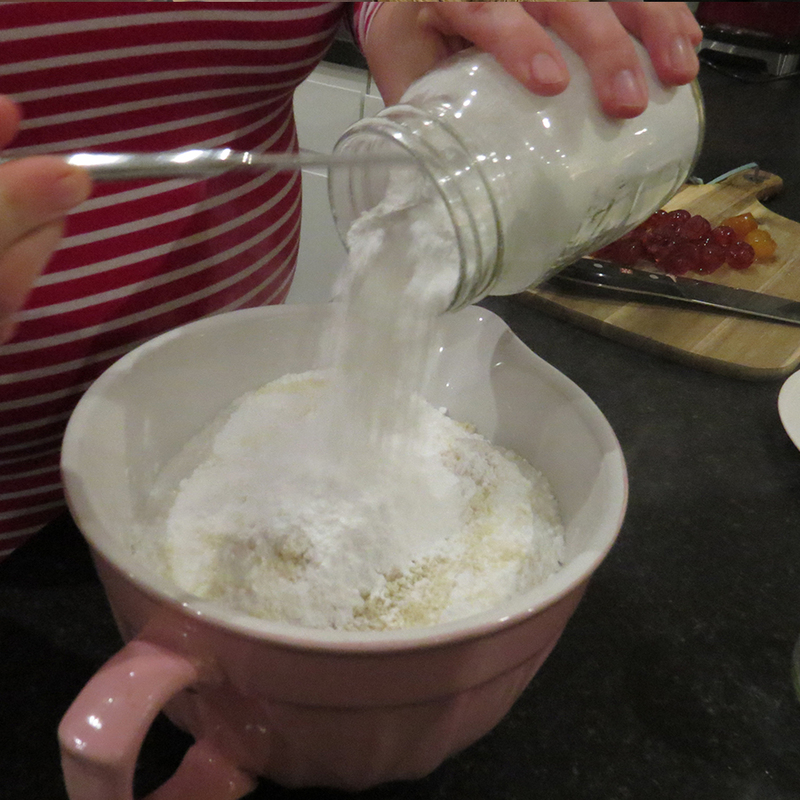 Step 2 – lightly dust work surface with icing sugar and tip out mixture, knead until mixture comes together adding more icing sugar if required. Step 3 – Shape into a ball and wrap with Clingfilm, store in a cool place until required. 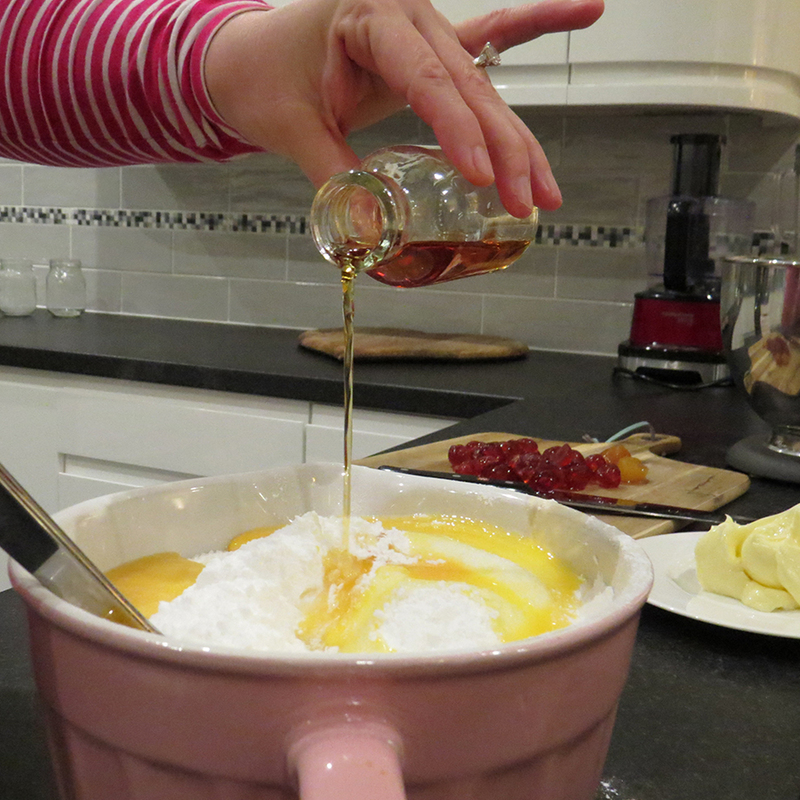 Step 1 – Cream together the butter and sugar in a large mixing bowl until light and soft, add the lemon zest. 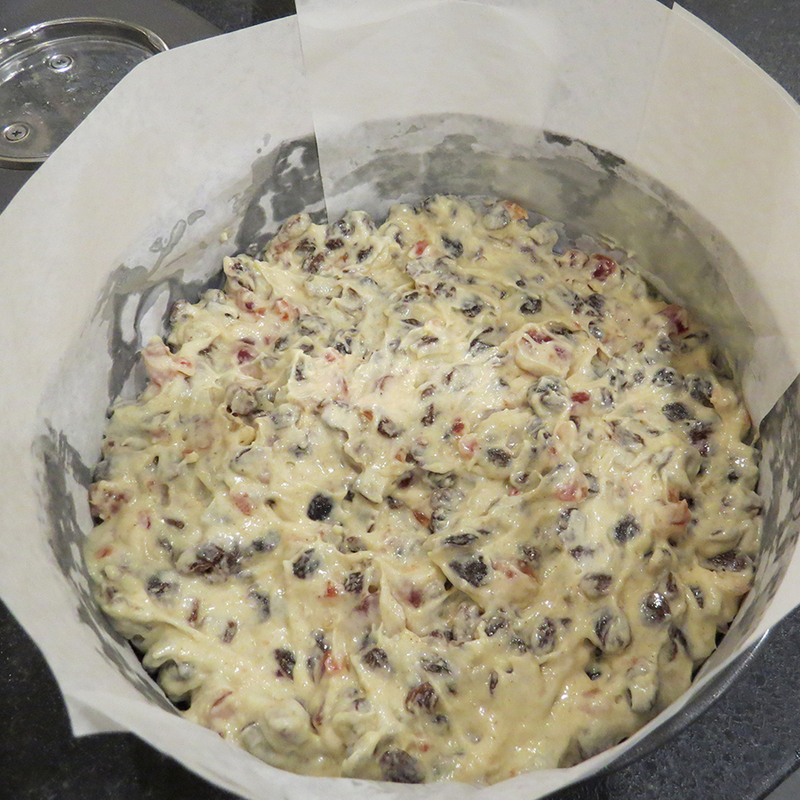 Step 2 – Combine flour, baking powder, cinnamon, ginger, ground almonds, sultanas and glace cherries into a separate bowl and stir well to combine. 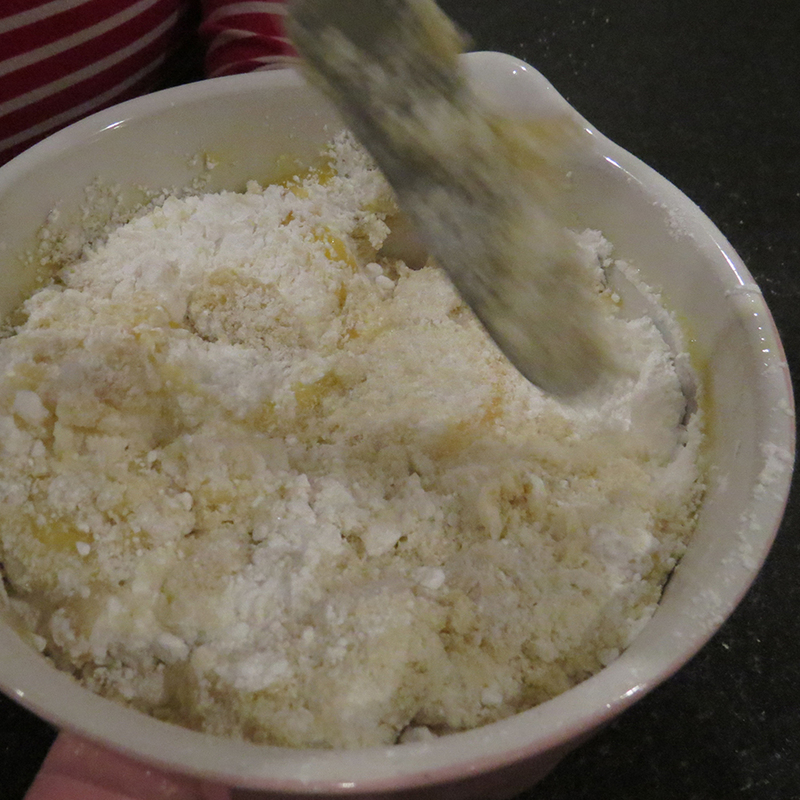 Step 3 – Add the three eggs to butter and sugar mix one at a time beating well. 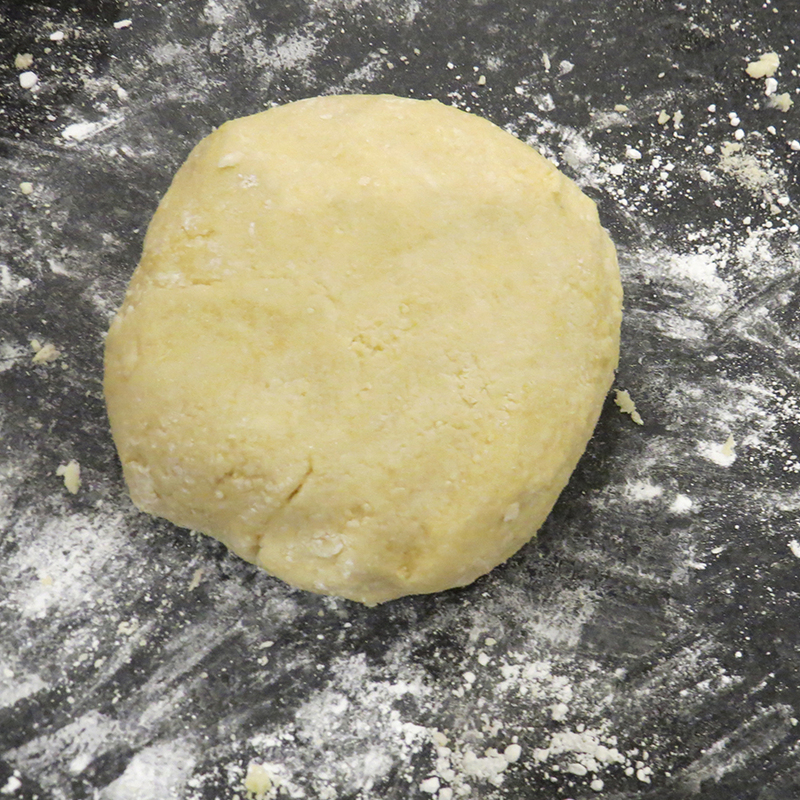 Step 4 – Gradually fold in dry ingredients and then add milk. Step 6 – Spoon half the mixture into the cake tin smoothing with a spatula, place the marzipan circle on top, spoon the remaining mixture on top and smooth again. Step 7 – Bake for 30mins then reduce temperature to Gas Mark 2/150C for a further 1 ½ hrs or until cake has risen and firm to touch. Step 9 – Roll out another 400g marzipan into a circle, coat the top of the cake in melted apricot jam and place marzipan on top. 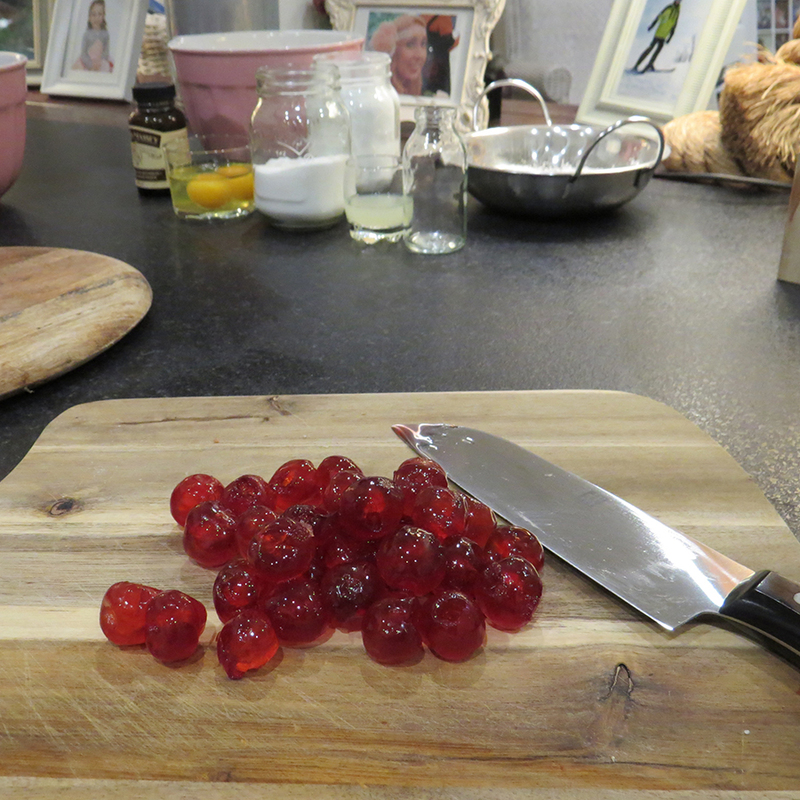 Step 10 – Roll out 11 apostle balls from the remaining marzipan, approx.. 2.5cm in size. Beat egg white until slightly frothy no more use to stick on the apostles to the rim of the cake. 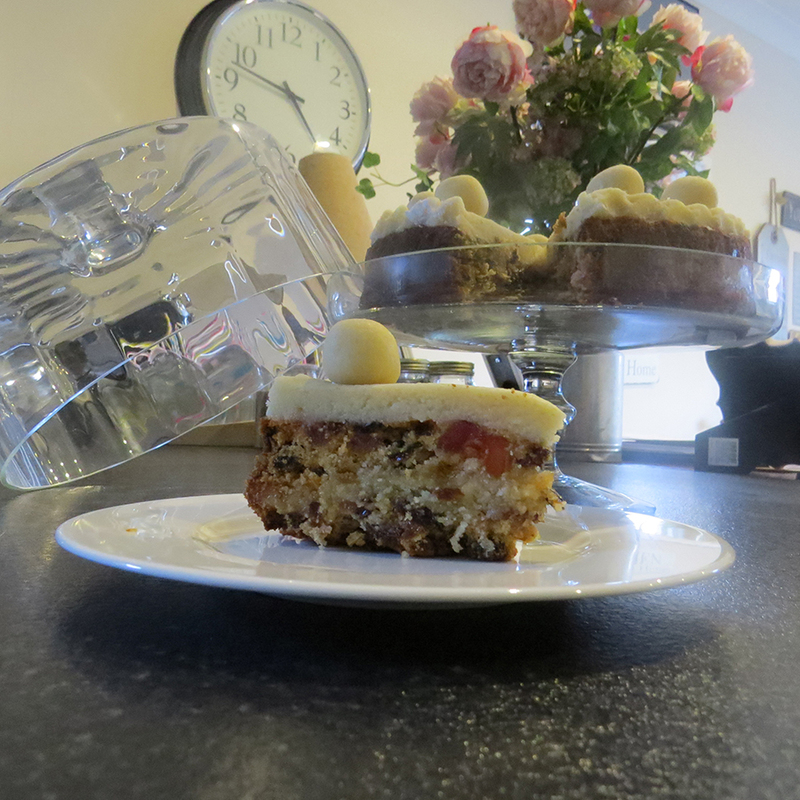 Step 11 – Coat the whole cake with the remaining egg white then blow-torch the marzipan until slightly scorched. 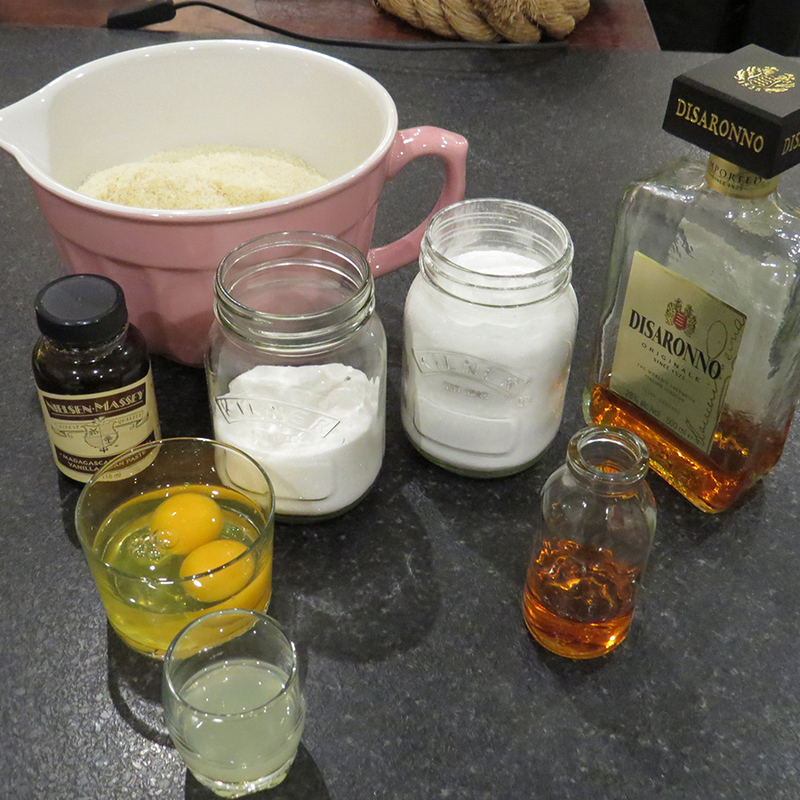 Step 12 – Serve and Enjoy!